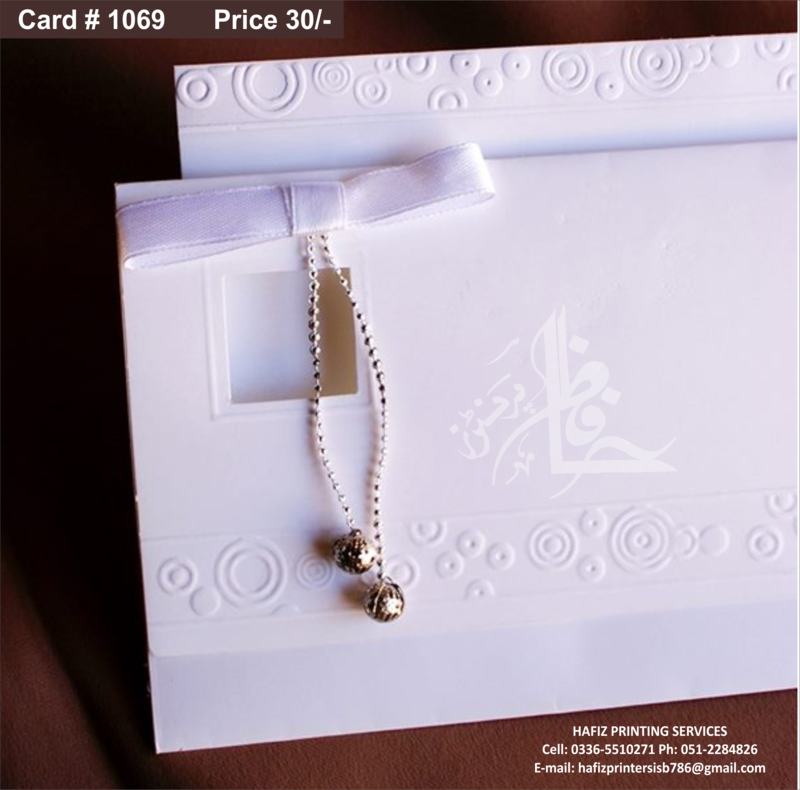 All Invitations like Wedding Card, Pakistani wedding invitations cards, Pakistani Wedding Cards, Muslim Wedding cards design, Hindu Wedding cards design, Sikh Wedding cards design, Christian Wedding cards design, Designer Wedding cards, Unique Invitations and Scroll Wedding Cards. 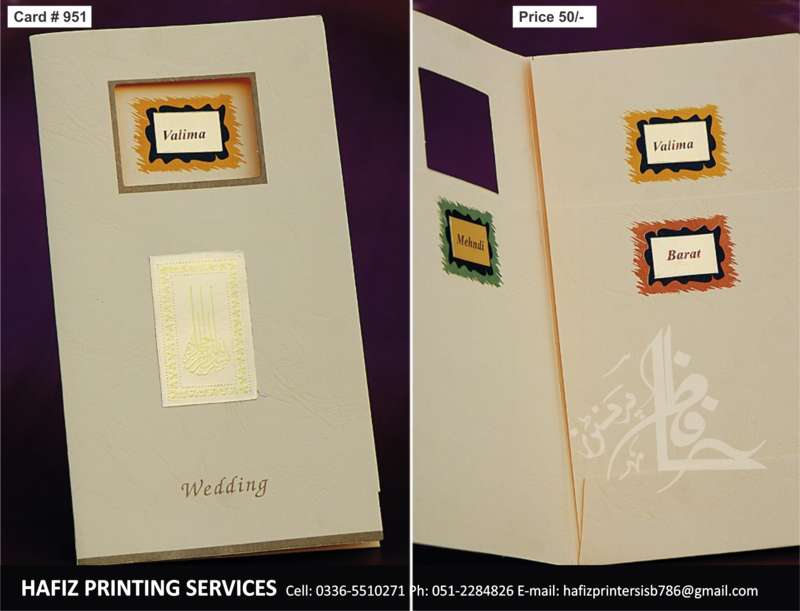 We specialize in Printing Services of Wedding Invitations. 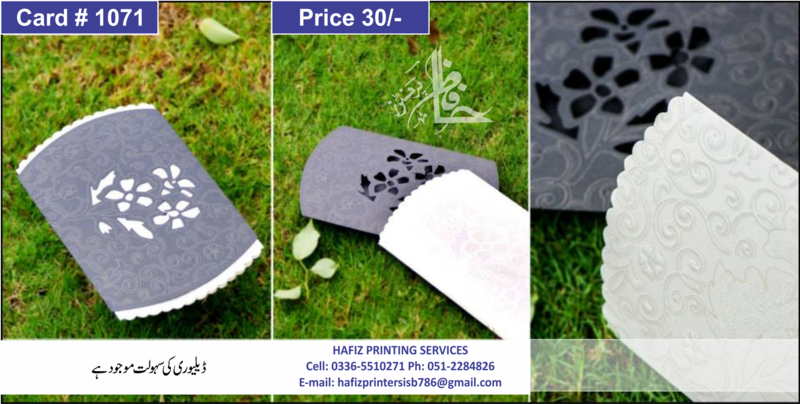 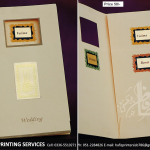 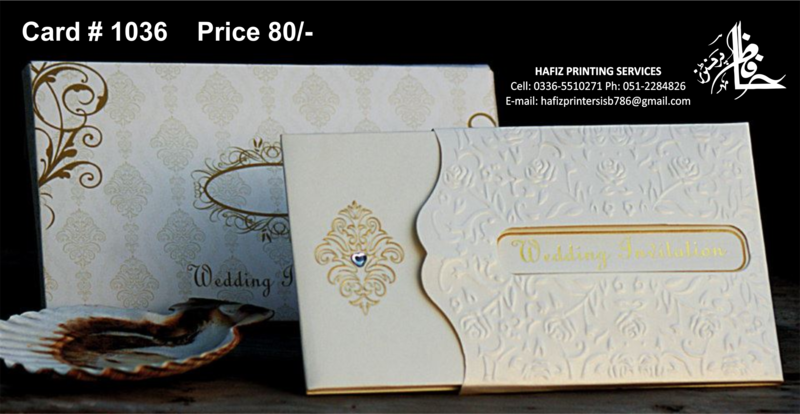 We produce fine quality Pakistani wedding cards of hand-made paper, wooley and other attractive material. 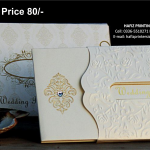 [/box]We are the best Wedding Cards / Shadi Cards / Valima Cards / Mehndi Cards / All kinds of Invitation Cards printers in Islamabad. 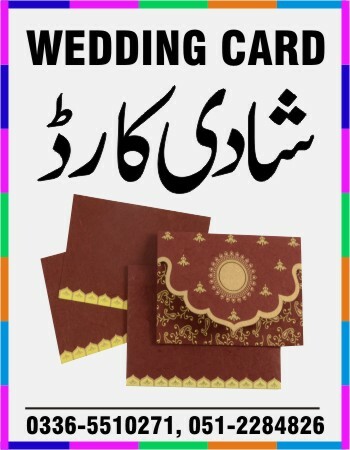 We design the best and exclusive Shaadi Cards / Engagement Cards / Wedding Cards / Valima Cards / Mehndi Cards / Rasm-e-Hina Cards / Invitation Cards and other Printing services Online printing services for wedding invitation cards, shadi cards, valima cards, reception cards, mehndi cards, mayoon cards, mangni cards, engagement cards, rasme hina cards etc. 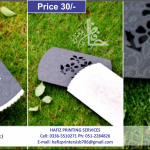 Islamabad, Pakistan. 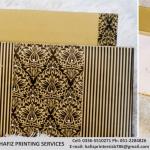 Exclusive boxed shape cards, pocket cards, laser cut cards are available.